Warner Bros. and DC Entertainment's latest comic book movie venture has captured its prey. 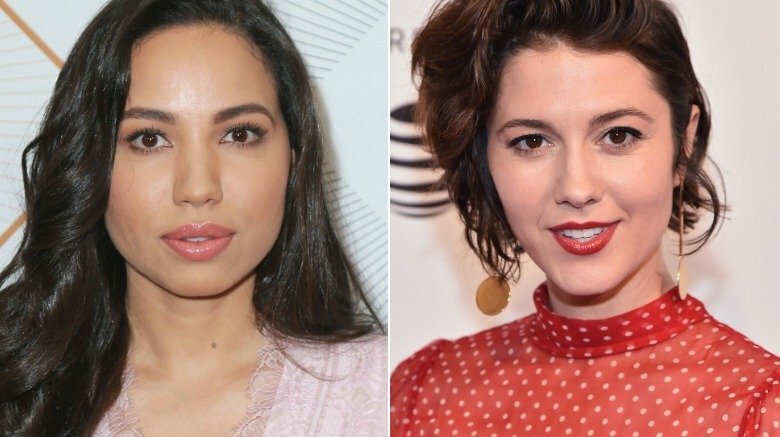 As confirmed by Variety, the studios tapped Jurnee Smollet-Bell and Mary Elizabeth Winstead to star in Birds of Prey, the female-centric film focused on Harley Quinn's girl gang. Known for playing Jess Merriweather on Friday Night Lights, Nicole Wright on True Blood, and Rosalee on Underground, Smollet-Bell is set for the role of Dinah Laurel Lance, better known as Black Canary. In the DC Comics lore, Black Canary is a white woman, but Warner Bros. and DC were said to be "looking for diverse talent for Birds of Prey," and ultimately went with an actress of color to play the supersonic scream-equipped superhero created by Robert Kanigher and Carmine Infantino. A Wrinkle in Time and Beauty and the Beast actress Gugu Mbatha-Raw was reportedly in consideration to play Black Canary, but Smollet-Bell apparently beat her out. Winstead, whom many will recognize from films like Scott Pilgrim vs. the World and 10 Cloverfield Lane, will portray Huntress in Birds of Prey. Canonically, three different women — Helena Bertinelli, Helena Wayne, and Paula Brooks — have taken on the Huntress mantle. Though Warner Bros. and DC haven't announced which version of Huntress Winstead bring to life for Birds of Prey, director Cathy Yan and screenwriter Christina Hodson reportedly crafted Huntress to be a "former mafia princess" whose family was murdered when she was young, thus inspiring her to become a superhero and fight alongside the Birds of Prey. According to past reports, The Leftovers star Margaret Qualley and How I Met Your Mother actress Cristin Milioti both tested for the role of Huntress. Clearly, Winstead won over the bigwigs at Warner Bros. and DC to score the coveted gig. Smollet-Bell and Winstead join Harley Quinn actress Margot Robbie for Birds of Prey, in which the titular crew will face off against an undisclosed "Gotham crime lord." Warner Bros. and DC have yet to reveal which actresses will round out the Birds of Prey — namely Renee Montoya, a.k.a. the Question, and Cassandra Cain. Rumor has it that either Justina Machado (Purge: Anarchy, One Day at a Time) or Roberta Colindrez (Vida) will end up portraying Renee, but there hasn't been much word on who might take on the role of Cassandra. As everyone knows, the DC Extended Universe hasn't achieved quite the same level of success that its ostensible competitor, the Marvel Cinematic Universe, has. Warner Bros. and DC's decision to not only make a movie like Birds of Prey, which mirrors the same females-are-strong-as-hell mentality of the studios' greatest success, Wonder Woman, but also to select talented actresses like Smollet-Bell and Winstead to star alongside the Academy Award-nominated Robbie in it suggests that the studios are looking to turn things around in a big way. Here's to hoping Birds of Prey will help usher in a stellar new era of the DCEU. Birds of Prey is set to soar into theaters on February 7, 2020.